The Department of Internal Affairs has welcomed a decision by the Gambling Commission which has found that a Blenheim based gaming machine society, Bluegrass Holdings Limited, obtained its licence to operate pokie machines by deception and that a decision to cancel its Class 4 operator’s licence was warranted. The Commission’s decision, published today, 5 August 2014, comes after a two year protracted and complicated process between Bluegrass Holdings and the Department. 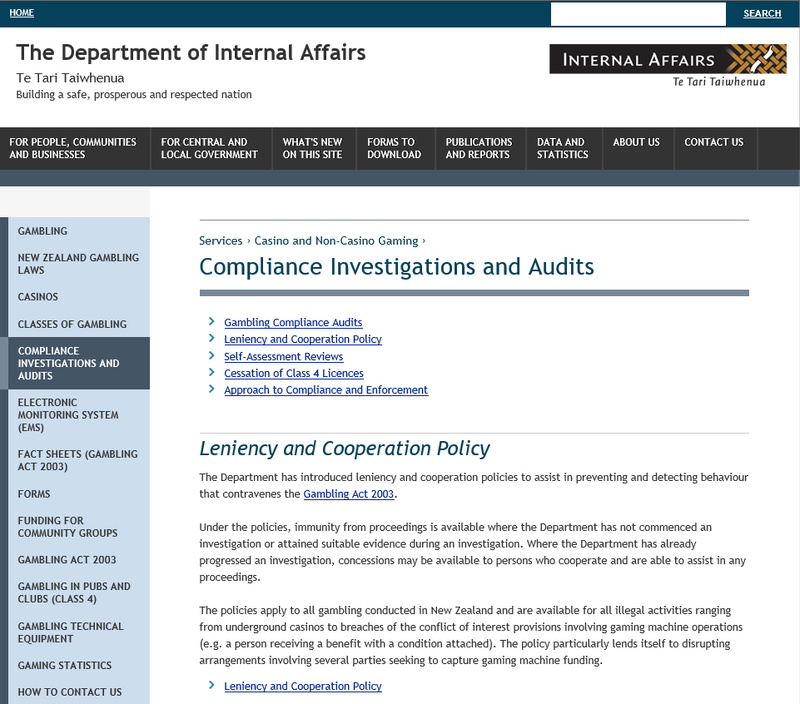 Internal Affairs’ Acting Director of Gambling Compliance, Raj Krishnan, says action was taken to cancel Bluegrass’s licence in July 2012 because of concerns about the suitability of Bluegrass’s operations including the actions of particular key individuals. “Bluegrass’s deliberate and repeated efforts to deceive the Secretary were intolerable. There is no room for such behaviour in the gambling sector and we are pleased that those involved will now need to move on. We put a lot of effort into this case as we believe ensuring the integrity of the gambling sector is of great importance. Gaming machine societies exist to distribute funds for the community. Millions of dollars are involved and the utmost integrity is required,” says Mr Krishnan. The Commission’s decision notes that the efforts to deceive the Department were repeated and took place from the time of Bluegrass’s initial application, through the investigation process and continued during the course of formal proceedings. The deceit stemmed from Bluegrass’s failure to advise the true source of funding to establish the society as well as the role of Mike O’Brien. The Commission found the evidence of Bluegrass’s present chair, Blenheim electrician, Peter Gurr not to be sufficiently credible and compelling to remove the doubts as to Bluegrass’s suitability. The Commission says the nature of the deception means it is appropriate for Bluegrass’s licence to be cancelled to “deter other applicants from similar attempts in the future”. Bluegrass Holdings Ltd owns 144 gaming machines (pokies) at eight pubs around New Zealand. “Internal Affairs is currently assessing the behaviour of the people who are responsible for the gaming machines at those venues. We have a duty to the wider community to ensure that venue operators are ethical and uphold the law. Whether those pubs will be allowed to continue operating pokies will depend on whether we are satisfied that all the relevant criteria are met,” says Mr Krishnan. In accordance with the Commission’s decision the licence cancellation will come into effect on 18 August 2014. 1. What happens on 18 August to the pokie machines owned by Bluegrass? 2. Doesn’t this action mean less money will go into the community? There is no evidence to suggest that overall gambling profits will decrease if the venues in question cease to offer gambling. Those who gamble at these venues are likely to simply gamble elsewhere if the venues lose their licences. 3. What happens to the money already collected from people gambling on the machines? The Gambling Act (2003) specifies that once a society’s licence is cancelled the remaining net proceeds from its Class 4 gambling must be distributed to authorised purposes in the community within 20 working days, unless a further period is agreed to by the Secretary (for Internal Affairs). Internal Affairs will be working with Bluegrass to ensure the correct distribution takes place. 4. 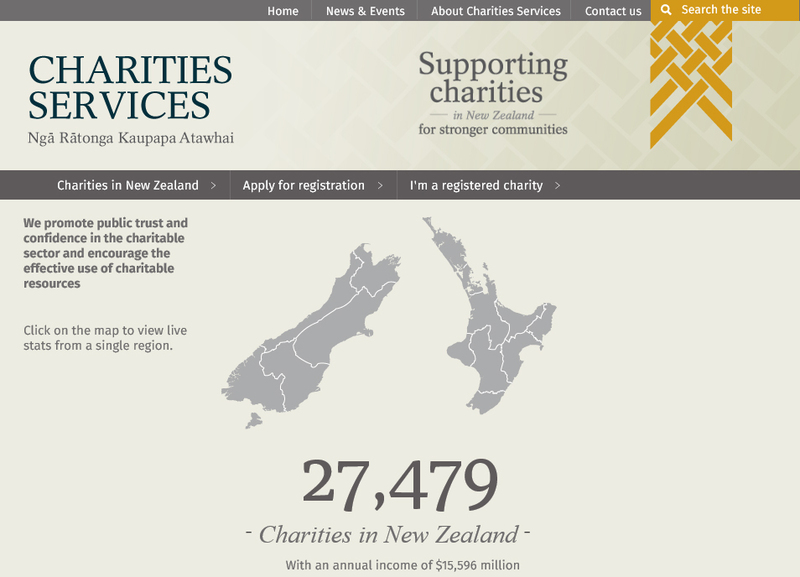 What happens to the organisations which received money from Bluegrass last year? No organisations which have had their funding applications already accepted by Bluegrass should lose out. Bluegrass was set up to primarily distribute funds to the racing sector. 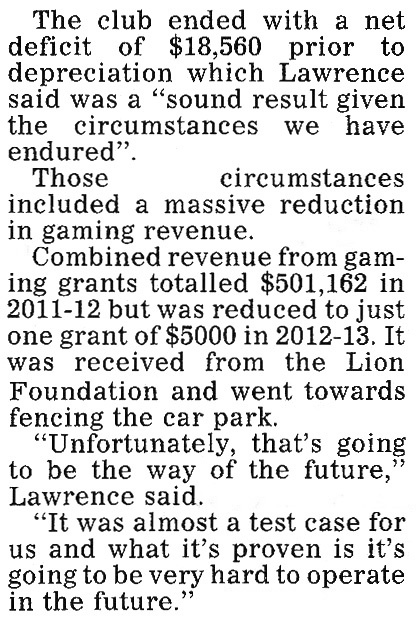 There is nothing to stop the racing clubs (or other community organisations) that received funds from Bluegrass from applying for pokie grants from other gaming machine societies, which are the organisations responsible for distributing the proceeds from gaming machines to the community. 5. What happens to the eight pubs which have Bluegrass machines? Can they transfer to another society? Yes they can, however this requires a fresh licence application to be made to the Department for each venue, and we will assess each application on a case by case basis. We will assess in detail both the behaviour of the venues and the history of compliance of the societies applying to take the venues on. We have a duty to the wider community to ensure that the operators in the gambling sector are ethical and uphold the law. Each time the Secretary (of Internal Affairs) makes an approval decision in respect of an application by a society to take on a new venue, he must be satisfied of both the venue’s ability and the society’s ability to operate in a compliant fashion. We will not grant a venue application until we have worked through the enquiries we need to make to be sure that these venues and societies are compliant in all respects. It should be noted a recent decision by the Gambling Commission emphasises that the onus is on the applicant society to satisfy Internal Affairs that the relevant criteria are met. 6. Does the action of DIA mean that those pubs will go under? 7. Does this action mean that those involved in Bluegrass will never be able to operate in the pokie sector again? Yes, it is our intention to ensure the integrity of a sector which generates approximately $800 million per annum in turnover. Given the large amount of funding generated by gambling the highest levels of sector integrity are vital to make sure that the community doesn’t lose out on much needed grant money, and that those in the sector, who comply and do the right thing, aren’t undermined. Our recent actions demonstrate that we will detect unlawful and dishonest behaviour, and take whatever action necessary to reduce and eliminate non-compliance. █ For more, enter the terms *dia*, *pokies*, *pokie trusts*, *orfu*, *nzru*, *gambling commission* and *ttcf* in the search box at right. Colourful talk radio host MP John Tamihere wants to change what he sees as liquor trusts’ unhealthy monopoly from the inside but they defend set-up as democracy in action, saying proportion of payouts to turnover is about to pick up. What we’ve just seen [on the crawl], he says, is an example of how West Auckland’s alcohol licensing trusts use their control of the region’s pubs to maximise gambling revenue through pokies. The gambling money, he says, is then used to peddle influence and spread pro-trust propaganda, which reinforces the position of the liquor trusts. The West’s drinkers are suckers, says Tamihere. They pay over the odds for their booze at the trusts’ bottle stores, are forced to drink in dives and are subjected to banks of pokies when they do. “It’s an ugly drinking culture,” says Tamihere. “It sets up a false world where the leadership of the trusts can make out that we don’t have any drinking problems out West. That is because we migrate them into town or over on to the Shore. No right-minded youth or family will go out anywhere in the West because they are dives. The culture has been perverted by the way the trusts just want to monopolise pokies.” Tamihere wants to get elected so he can change things from the inside. But is change really necessary? Like many things involving the colourful talk radio host, the answer is not straightforward. Two weeks later we take another tour, this time with Ross Clow, the long-serving president of the Portage Licensing Trust and chairman of The Trusts Community Foundation. As well as rebutting Tamihere’s ugly drinking culture claims, Clow’s aim is to show where the money from the liquor trusts’ combined $100 million turnover is going. Money, it will surprise no one, is at the heart of this issue. TTCF’s accounts show it paid $10.57 million in pokie revenue to West Auckland causes last year. Clow stands firmly by the claim that 97 per cent of the cash raised out West is returned to the West. He should know. As president of the Portage trust he is responsible for making the recommendations to TTCF on how money raised in its venues should be spent. Given he is also chairman of TTCF, Clow could be accused of making recommendations to himself. He defends the system as a sound way of making sure the money goes to the right places and insists he recuses himself when TTCF votes on Portage’s recommendations. Then there is the question of who really distributes the money. For years statements issued by the liquor licensing trusts have indicated the money comes from them. It doesn’t. It comes from TTCF, which is a separate financial entity. For more, enter terms such as *pokies*, *pokierorts*, *dia*, *sfo* or *ttcf* in the search box at right. Otago Racing Club president Dean Lawrence has one request for this season – a little less rain, please. Lawrence, who was re-elected unopposed as president at the club’s annual meeting last night, rued the bad weather which plagued the first half of his maiden tenure as he presented his annual report to the committee at Wingatui last night. The loss of a race meeting due to bad weather at the start of last season got the club’s season off on the wrong foot and the bad luck continued with wet and cold conditions on Melbourne Cup day and Boxing Day, Lawrence said. For more, enter terms such as *pokies*, *pokierorts*, *dia* or *sfo* in the search box at right. Losing gaming machine revenue would see many rugby clubs fold, while others would be forced to raise playing fees by up to 500 per cent. Sport in New Zealand is propped up by around $180 million in gambling revenue each year, creating a cycle of dependency health experts have likened to big tobacco sponsorship. While proceeds from Lotto and a levy on TAB sports betting boost the bank balances of most national sports bodies and help fund high performance athletes, pokie gaming trusts are by far the biggest contributor. Payouts in 2013 have taken the total pokie money contribution to sports funding past the billion-dollar mark over the last seven years. A controversial pokie trust paid out nearly $100,000 to a racing group to buy a small piece of racetrack from one of its own club members. The grant made to Gallop South – thoroughbred racing’s umbrella body for Southland and Otago – was then paid to the Oamaru Jockey Club to buy a section of the Oamaru racecourse. The move has been slammed by industry sources as “pure naked greed” and a “desperate way” to grab pokie funds. The grant was made by The Trusts Community Foundation (formerly the Trusts Charitable Foundation), subject of several critical stories by the Sunday Star-Times, including its close relationships and multimillion-dollar grant funding of the racing industry. One source close to TTCF said it was a clear case of racing interests “coming up with desperate ways to rort gaming funds with the tacit aproval of an ineffective regulator”. █ For more, enter the terms *orfu*, *dia*, *pokie*, *ttcf*, *oag*, *sfo* or *whistleblower* in the search box at right. Multimillion-dollar pokie scams just won’t go away. DIA/SFO parade their joint investigations in the media at the same time they appear to avoid TTCF. Why? Remember it was our own ORFU that started the Jokers rorts in 2005 – they bought the Jokers Bars in Auckland and after 18 months sold a 50% stake in Jokers to Mike O’Brien and Harness Racing interests. It seems Rugby has total immunity in New Zealand, as do Licensing trusts, and on that basis TTCF are just too big to fail. A post made by Sheriff (Leo Molloy) published at racecafe.co.nz on 30 July 2013 – 06:57 PM was subsequently removed from that site. On 1 August 2013 Sheriff’s post was reproduced here by Elizabeth Kerr, and accompanied by comments. What if? Dunedin was made aware of the following today – this post has been updated to remove derogatory content. What if? 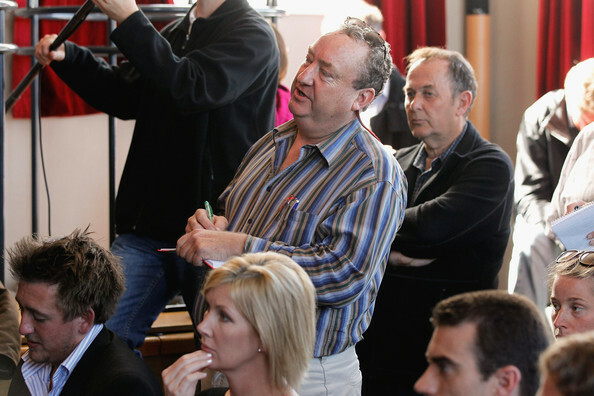 Dunedin and Elizabeth Kerr apologise unreservedly to Greg Purcell, Chief Executive of New Zealand Thoroughbred Racing, for any offence or distress caused. “On 3 December 2014, the Wellington District Court (with Mr Molloy’s consent) issued an Order under the Harassment Act. The court order sets out a series of conditions including that Mr Molloy cannot publish or caused to be published or retain online any statements concerning or about me [Greg Purcell]. You will note that the offending material about me has been removed from the Racecafe website, including the posts which you have republished. “Over the past three years I have made a number of comments and statements on the Race Cafe website about you and others which have been offensive, insulting or abusive. Some of my comments have said, or implied, that you are corrupt, fraudulent or dishonest. I acknowledge and accept that is not the case. I am sorry that I made these statements and regret any hurt or distress that this has caused. As you know, I am in the process of withdrawing them from the website and have undertaken to stop making such statements in the future. I fully and sincerely apologise to you for making them. 3.6.12 Sunday Star Times: Stadium story: any sliced bread in the murk?